What do you do when you've been given a promise from God and then He takes you in a different direction from where your promise lies? That's exactly where Jacob finds himself in these final chapters of Genesis. God has instructed Jacob to leave Canaan - the promised land - with his family and all of his possessions. God uses a famine throughout the land to drive Jacob and his family into the land of Egypt where Joseph is waiting with provisions that will keep them all alive. God has purposes behind this famine that are far greater than Jacob can imagine. Why would God do this? Well, thankfully, He tells us exactly why in His Word. As we saw in my post on Monday, God gave four specific promises to Jacob to hold on to during this dark time - a time of famine that in God's hands would be used to fulfill His promises and purposes for Jacob's life. Tuesday's reading showed us the fulfillment of those four promises God gave to Jacob. During this time of famine, God was working out His good plan for Jacob's life and for his entire family. God separated this people for a specific purpose. He did not forget about His promise of the land of Canaan. This was a time of preparation for Jacob and his entire family. They not only needed to grow in physical number, but they also needed to grow spiritually. There was going to come a day when they would have to take possession of their promised land. The same holds true for us today. We must be growing spiritually in our walk with God in order to take possession of the promises He has for us as His children. He truly has a good plan for my life and for your life! One day we, too, will take possession of our promised land - our true home in the presence of God - and we need to be prepared to meet Jesus face-to-face. 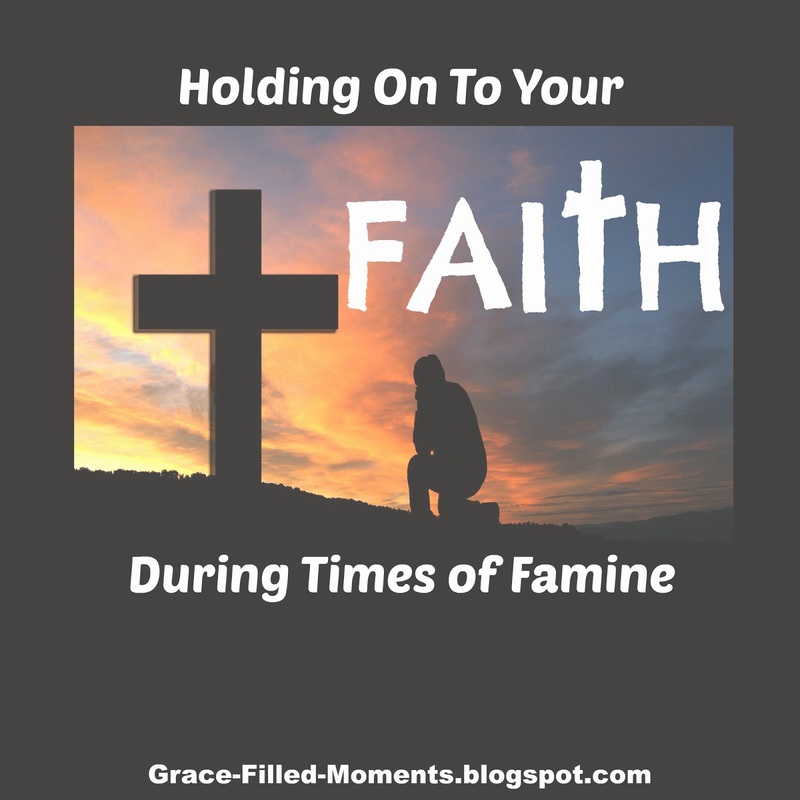 Are you facing a time of famine in your spiritual walk with God? Does it seem like God has taken you off in a different direction from where you thought you'd be at this time in your life? I'd like to encourage you to hold on to your faith - hold on to the promises of God that you know belong to you because you are His child! Let God do the work He wants to do in your heart wherever He has you at this time in your life, trusting that what He is doing is for your good. 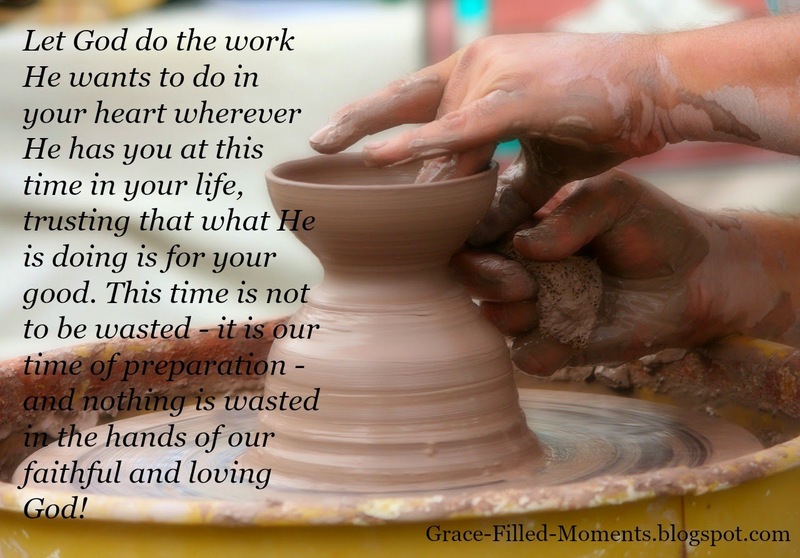 This time is not to be wasted - it is our time of preparation - and nothing is wasted in the hands of our faithful and loving God! Genesis 47:27 So Israel dwelt in the land of Egypt, in the country of Goshen; and they had possessions there and grew and multiplied exceedingly. Genesis 47:29-31 When the time drew near that Israel must die, he called his son Joseph and said to him, “Now if I have found favor in your sight, please put your hand under my thigh, and deal kindly and truly with me. Please do not bury me in Egypt, 30 but let me lie with my fathers; you shall carry me out of Egypt and bury me in their burial place.” And he said, “I will do as you have said.” 31 Then he said, “Swear to me.” And he swore to him. So Israel bowed himself on the head of the bed. In Genesis 47:5-6 we see the favor of Pharaoh extended to Joseph’s father and brothers in the giving of the best of the land and in making some of Joseph’s brothers chief herdsmen over his livestock. This is a fulfillment of God’s promise to go with Jacob and his family to Egypt (Genesis 46:4). In Genesis 47:27 we see Jacob and his family with possessions, growing and multiplying in numbers. This is evidence of the fulfillment of God’s promise to make Jacob into a great nation (Genesis 46:3). In Genesis 47:29-31 we see the fulfillment of God’s promise that Joseph would be with Jacob when he died and His promise that Jacob would be buried with his fathers (Genesis 46:4). All four promises that God spoke to Jacob are fulfilled. God is faithful! All of these promises were coming to pass during a time of famine. Proof that God is working even in the midst of the trying times of our lives. Application: Cling to God during the valleys of this life. Know that He is with me, that He is shaping my character, and that His promises for my life will surely come to pass. Most of the time I do not understand how God is moving to fulfill His promises, but that’s when I must walk by faith trusting that God is good and that His plans for me are good. Prayer: Heavenly Father, I thank You for Your goodness and Your faithfulness to me. Your ways are not my ways; Your ways are higher than mine; and Your thoughts are not my thoughts. Give me grace to walk faithfully with You through the valleys of this life. Help me to trust You when what I see with my natural eyes does not seem to align with what You have promised to me in Your Word. I pray that during those times I will keep my eyes focused on You and on the truth of Your promises I find in Your Word. I pray that during those times I will allow Your hand to mold and shape my character for Your glory. In the faithful name of Jesus I pray. Amen! Scripture: Genesis 48:3-4, 21 Then Jacob said to Joseph: “God Almighty appeared to me at Luz in the land of Canaan and blessed me, 4 and said to me, ‘Behold, I will make you fruitful and multiply you, and I will make of you a multitude of people, and give this land to your descendants after you as an everlasting possession.’ 21 Then Israel said to Joseph, “Behold, I am dying, but God will be with you and bring you back to the land of your fathers. Observations: Jacob shares with Joseph the promise God had given to him – a promise to make Jacob fruitful, to multiply him and make him a multitude of people, and to give the land of Canaan to Jacob’s descendants as their possession forever. Jacob shares with Joseph that he is indeed dying, but reassures Joseph that God will be with him and will bring Joseph back to the promised land of Canaan. Application: It is important to remind our children of the promises of God, that He desires a personal relationship with them, that one day Jesus will return for us, and we’ll finally be home with Him forever. Prayer: Heavenly Father, thank You for the promise we have of Jesus’ return! This dark world we travel now is not our true home. Every day that we continue to wait for the return of Jesus, we see a more defined separating taking place between Your children and those who refuse to acknowledge Him as Lord and Savior. Give us an urgency as earthly parents to tell our children of all the promises of God, of how He desires a personal relationship with them, and that Jesus is returning one day and at His return every knee will bow and every tongue will confess that He is Lord. May all of our children bow their knees and confess Jesus as Lord of their lives now so that they will be ready at His return. May we all, as God’s children, keep our eyes focused on the promise of Jesus’ return and on our eternal home with Him. It’s in the redeeming name of Jesus I pray. Amen! What Book of the Bible Are We Reading Next? We are Reading Through the Bible with the Good Morning Girls taking one chapter at a time, one book of the Bible at a time, for as long as it takes us. There are no dates or numbers on our reading plan, so you can jump in at any time! The book of Psalms! I l.o.v.e. the Psalms!! During the darkest times of my life - those times of famine I talked about today - I have turned to God in the Psalms for comfort and for strength to continue on in my journey of life. God has truly blessed me with many Grace-Filled-Moments as I seek to live life's moments in the power of His grace! He will do the same for you as you commit to seeking His face through His Word and in prayer. Won't you join me in the book of Psalms on Monday? Now for those of you who may not have been with me in the very beginning of this Reading Through the Bible journey which I began in August with the Good Morning Girls, I need to explain that we have already read Psalm 1 and 2 back in September. So you may want to go ahead and read those 2 chapters over the weekend so you can begin with me in Psalm 3 on Monday. Here is a bookmark for Psalms that Courtney Joseph has provided for us. You can right-click on the image and print it off to use as a bookmark for your Bible during our time in Psalms. I'll see you back here on Friday when we will finish the book of Genesis! Only two more days friends...let's finish strong!